November celebrates senior pets with National Senior Pet Month and ASPCA’s Adopt a Senior Pet Month. 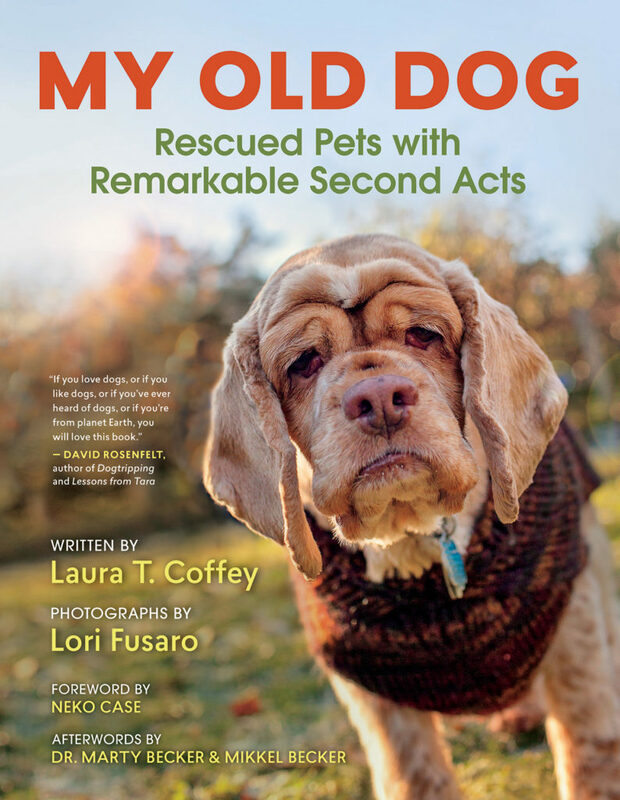 To celebrate, Goodnewsforpets figured who better to feature than Laura T. Coffey, author of the national best seller My Old Dog: Rescued Pets with Remarkable Second Acts. Additionally, Laura is currently the Vice President of the Dog Writers Association of America, a writer, a self-avowed dog nut as well as editor and producer for TODAY.com, the website of NBC’s TODAY show. You are currently the Vice President of the Dog Writers Association of America. How did you first get involved in DWAA? Is there something special that drew you to the organization? I attended my first Dog Writers Association banquet in 2014 and had a blast. I’ve been attending them ever since! I felt drawn to the organization because so many of the feature stories I was writing for TODAY.com, the website of NBC’s TODAY show, tended to focus on pets and animals. I was grateful for any and all support I could get from fellow journalists and authors. You describe yourself a s self-avowed dog nut, when did you start writing about dogs? One of my earliest feature stories — written for the St. Petersburg Times when I was 19 — was about dogs! My editor asked me to attend a pet loss support group meeting and I had no idea what to expect. The meeting REALLY affected me because the power of the human-animal bond was so clear there. Over the years I’ve written and edited stories about absolutely everything (except sports! ), but my favorite stories somehow always end up including a dog. Even when my husband and I lived overseas for two years in 1999 and 2000, I gravitated toward dog stories! Your national bestseller My Old Dog has won the DWAA Best Book Award and a Gold INDIES Book of the Year Award. What was you inspiration for writing My Old Dog? The My Old Dog book stemmed from a TODAY.com feature story I wrote in 2013 with the headline “‘No dog should die alone’: Photographer promotes senior pet adoption.” That story profiled Lori Fusaro, an L.A. photographer who was volunteering her time taking high-quality photos of Los Angeles County shelter animals to increase their chances of being adopted. The time she spent doing that made her realize that very few senior pets ever made it out of those shelters. That motivated her to start a photo project to try to change people’s perceptions of older animals. I wrote a story about all of this, and the story went viral, and BLAMMO: Lori and I got contacted by a literary agent, and it ultimately led to a book deal! My Old Dog covers senior pet adoption. Is this something you were passionate about before writing the book? I’m wildly passionate about senior pet adoption now, that’s for sure! To be honest, though, before I wrote that senior pet story in 2013, I didn’t fully grasp the extreme need for this kind of rescue work, and I also didn’t know about the explosion of cool and innovative rescue efforts all over the United States specifically on behalf of senior shelter animals. These senior-specific efforts didn’t really exist in the early 2000s, but now they’re much more common. 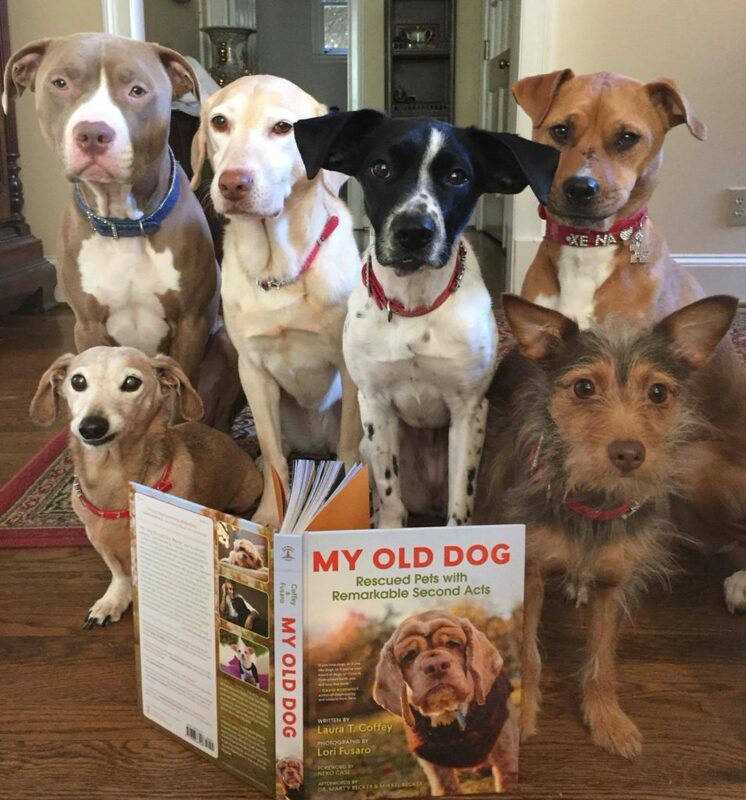 The My Old Dog book includes a comprehensive state-by-state resource guide with contact information for senior dog rescue groups. I’m so blown away by how much good is being done by these organizations, and I can see myself remaining involved with these efforts for the rest of my life. You also write human-interest stories for TODAY.com, the website of NBC’s TODAY show. What are some of the topics you cover? How is writing for a website different than writing a book? Since 2008 I’ve covered absolutely every kind of “TODAY-like” story for the website, but almost all of my favorite stories have involved pets and animals in some way, shape or form. (This story provides some background about some of my all-time favorite pet features!) I’m currently in an editor/producer role for the TODAY Parents section, so it’s a little bit challenging for me to write stories on a regular basis at the moment. Still, whenever I can, I try to take on a pet-related feature! (Here’s one recent example.) Writing for a website is so much different than writing a book because of the time commitment and stamina involved. With a book, you have to be eager and willing to focus on a single subject for years in a row, while with a website, you can move on to your next assignment in a matter of days (if not hours)! Is there any cross-over between the topics that are covered on the site and the TODAY show? Yes, absolutely! TODAY.com features all the highlights from the four hours of the show each morning, and it also features tons of web-only stories and videos that have the same spirit and vibe of the show. Basically, the website is a great destination if you’re after real stories about real people living real lives. Some stories are hilarious, and some can be quite sad — but even the saddest stories leave you feeling uplifted and inspired and hopeful. Tell us about how you come up with your writing ideas. What’s your process? Sometimes I find story ideas via social media and internet sleuthing, and sometimes I get tips from longtime readers. In other instances, ideas emerge from conversations with parents at my son’s school, with kids at my son’s school, with local friends and family members, with cross-country friends and family members, and with people I encounter around town. I’ve basically always got my “story goggles” on — I don’t know how to take them off! 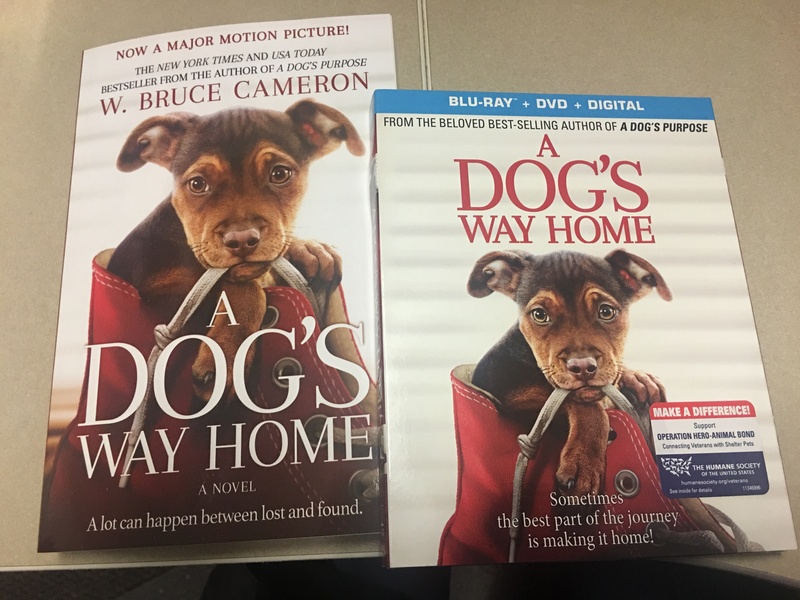 Are there tips you can give to anyone that wants to write professionally about dogs? First and foremost, join the Dog Writers Association of America! And come to DWAA events! It’s such a great way to connect with other writers and editors and get real-world tips about how to get published. Third, be nimble and adaptable. Different publications have different areas of focus and different needs. Focus on giving them what they need in a hassle-free, no-muss/no-fuss way — and they will love you! 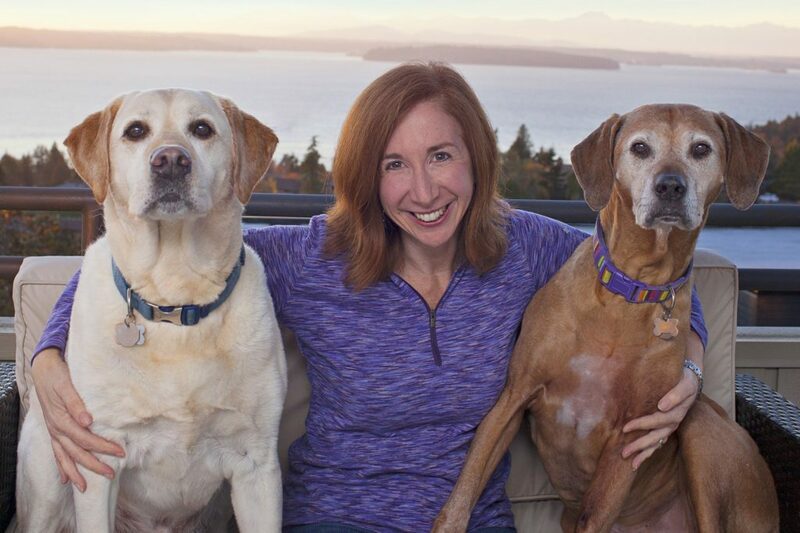 Learn more about My Old Dog and Laura T. Coffey, plus connect on social media!